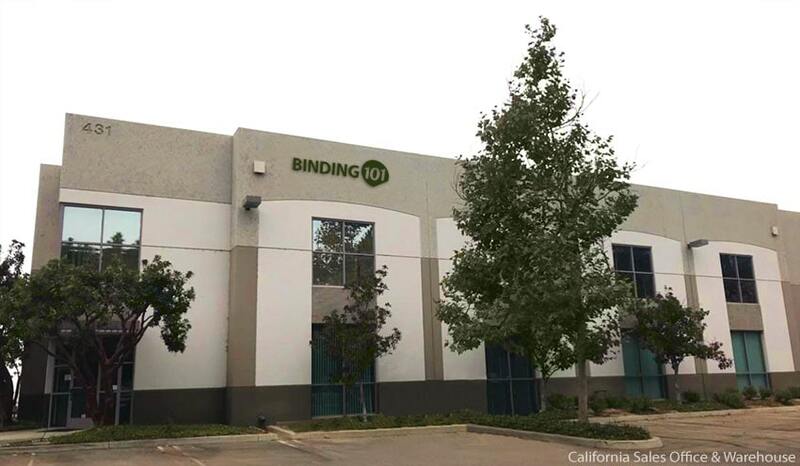 Binding101.com has nation-wide warehouses that span across the entire USA, as well as access to all of the largest manufacturers of office and finishing products. • Customer Service - Our customer care and sales teams are located in California and New Jersey to offer coast-to-coast service from 8:30am to 8pm, Eastern Time (5:30am to 5pm, Pacific Time). • Shipping Warehouses - Shipping warehouse locations are in Southern California (Camarillo), New Jersey (Totowa), New York (New York), Texas (Austin), Illinois (Elk Grove Village), and North Carolina (Wilmington). • Shipping Partners - In addition to stocking warehouses and sales offices, we have relationships with hundreds of vendors throughout the US that ship direct to our customers. This combination of shipping locations across the country make delivery fast, typically only about 2-4 businesses days for most orders. Expedited shipping options are also available for time-sensitive needs; call us at (866)537-2244 (866)537-2244 for an expedited shipping quote. We do not have a physical storefront for customers to go into and shop, but you can always shop our products online at Binding101.com. We do offer order pick-up at select locations; call (866)537-2244 (866)537-2244 for more information. We diligently train our customer care team to handle your requests, and are confident that you will find us the most knowledgeable, affordable, and friendly online retailer of paper finishing products in the United States. Whether you are simply looking to check stock on an item, need a product overnighted, need to process a return, want to place an order, are requesting a bulk discount, or any other need you may have when you call, our goal is to impress you with our attention to detail, speed of service, and professionalism. Don’t agree? We want to hear from you so we can improve! Please email info@binding101.com if we do not meet…nay, exceed your expectations every time you call us or shop online.